Create your own multiplex bead-based assays for detection with iQue systems! 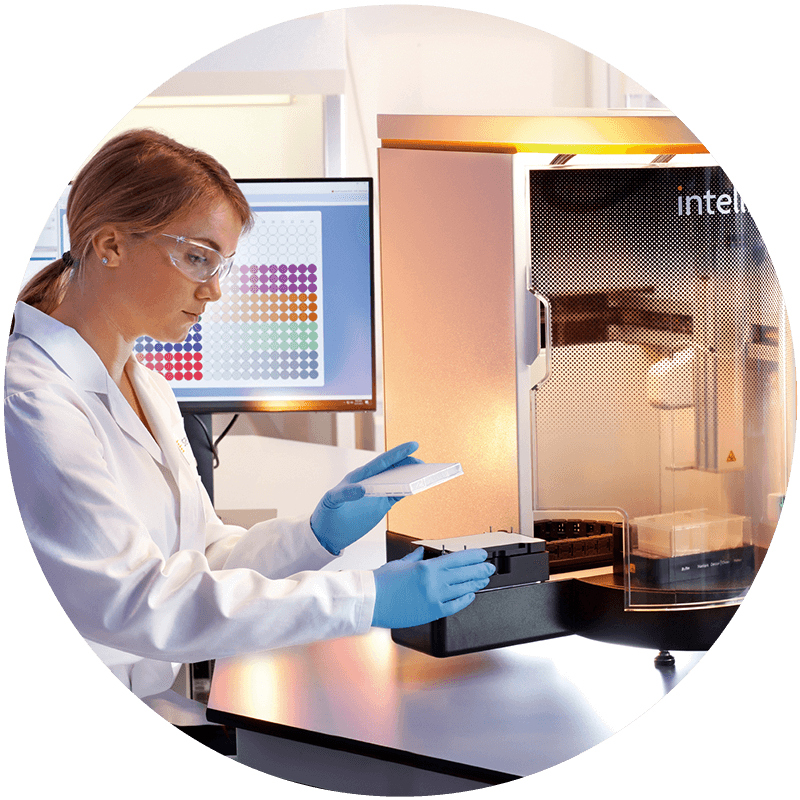 Intellicyt offers 2 types of Qbeads kits: QBeads® PlexScreen is a family of reagents that use immunochemistry to capture specific secreted proteins on distinct bead types. This enables multiplexed quantitation of cytokines, adhesion molecules, enzymes and receptors. QBeads DevScreen are reagents for creating your own bead-based assay using a panel of Streptavidin or Sulfhydryl coated beads. These can be multiplexed with other Intellicyt kits including QBeads PlexScreen kits for richer content. Utilize our easy-to-use QBeads Assay Builder tool below to design your own specific multiplex assay. Analytes that can’t be multiplexed will grey out when you make a selection. Click on the “info” icon for analyte information. *Analyte is available on two bead options, enabling you to combine it with different sets of analytes. Analytes in green are only compatible with other analytes in green. Buffer and other assay components are automatically added to your kit based on your selections. Click on the “info” icon for product information. QSAv1 through QSAv5 are available individually or at a discount when purchased in multi-bead configurations. Visit DevScreen for more information. Buffer and other QSAv components are automatically added to your kit based on your selections. QSH beads can be combined with most of our QBeads™ PlexScreen kits as well as the QBeads™ DevScreen SAv reagents. Buffer and other QSH components are automatically added to your kit based on your selections.